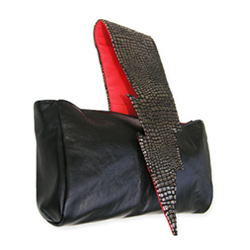 Stylesse Handbags & Apparel is a newcomer on the handbag scene, but already has received immense attention due to its cutting–edge styles, an interesting mix of leathers and fabrics, and delightful use of graphical prints. And with prices ranging from $25 to $480, style and finesse doesn’t come at a steep price. 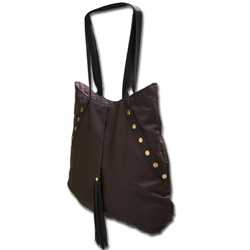 The Leather Basketweave Tote is perfect for lugging your things fashionably around, day or night. The Lightning Strikes Tote to add a spark to any outfit. 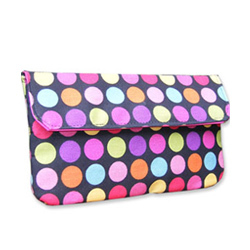 Or sport the Jawbreaker Clutch with a little black dress for a night out on the town.